Nearly 7,000 votes poured in for the top college softball stadium in the country. 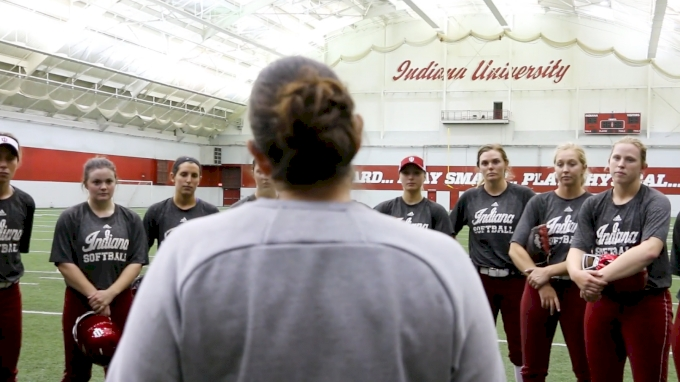 From newly renovated to classic stadiums, college softball has won over the hearts of the fans and universities are taking notice. Here are the top 10 stadiums of 2019. The Jane was the overwhelming favorite stadium for fans that tallied almost 1,000 votes in favor of the ultra-modern stadium. The estimated cost to build was $17.2 million that included a team meeting room, locker room, film room, training room, and other amenities located in the team building along the third base line while an indoor practice center with batting cages, and pitching lanes. 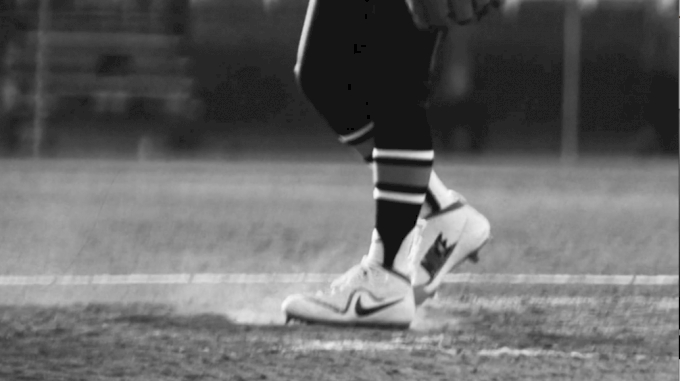 The field is artificial turf with a real dirt infield. For fans, a roof covers more than 500 seats behind home plate and state-of-the-art video board was installed in right field, in addition to all the modern restrooms and concession facilities. The Jane can seat up to 2,500 fans. Bob and Jane Sanders donated $16 million towards building the stadium. Nicknamed “The Field of Dreams,” UL’s Lamson Park was first opened in 1985 and is home to one of the most avid fan bases in all of the softball. Seating up to 2,790 fans, Ragin’ Cajun superfans can also enjoy luxury boxes or a 50-seat Stadium Club area. The park embodies the nostalgia and spirit of the legends of the past. In 2007, the UL Athletics Department oversaw the construction of the Leon Moncla Indoor Practice Facility. Equipped with an artificial playing surface and drop-down batting cages, it is located adjacent to the softball field. The John and Ann Rhoads Softball Stadium was built in 2000 and recently received enhancements that make the nation's most packed college softball venue an imposing site for visiting teams. That stadium, completed at a cost of $2.2 million, added right field tier seating to push stadium capacity past the 3,000 mark. The stadium was expanded for the third time in its short history following 2011 season, which brought the official capacity to 3,940. 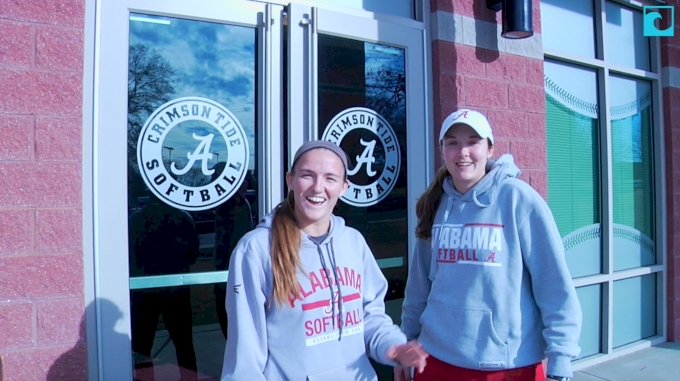 Alabama Softball fans continue to take the moniker "best softball fans in the nation" to heart, setting multiple NCAA attendance records over the years. The new home of Texas A&M softball, Davis Diamond, opened on April 27, 2018 and gave the Aggies the sport's most elite facility in all of collegiate athletics. $28.6 million was spent to hold 2,000 fans with club level seating and two luxury suites. The new press box features two radio booths, a TV booth, and a writing press area. “This stadium will have a huge impact on recruiting,” Evans said. Every day something changes at Katie Seashole Pressly Stadium and fans might have noticed a few new structures since the last update. The new shade structures down the first base and third base lines are going up and the structure for the new home bullpen is taking shape. In the newly renovated KSP Stadium, fans will notice a significant difference in the amount of shade provided by the elevated press box and the two shade structures, while the new bullpen will house four full-size pitching lanes for the Florida pitching staff. Also taking shape is the right field berm area which will flow down to the 360-degree concourse that will give fans a viewpoint from the outfield. One of the finest facilities in the country, Husky Softball Stadium is located just east of the Alaska Airlines Field at Husky Stadium and boasts one of the most spectacular views in the country, looking out over Lake Washington and toward majestic Mt. Rainier. 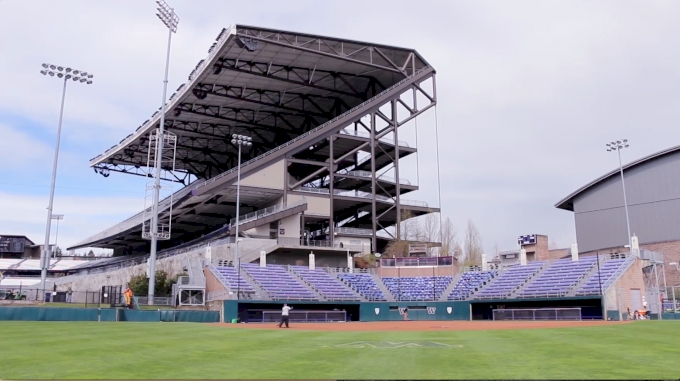 In 2016, the University of Washington debuted a brand new state-of-the-art large-scale video board in right field. 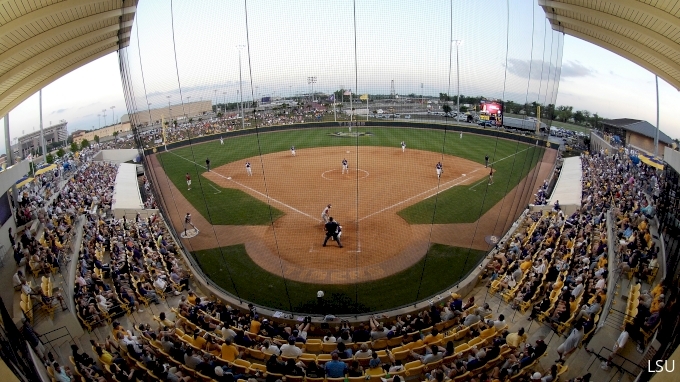 Alumni Field, formerly known as "Varsity Diamond," has been the site of 17 NCAA Regional tournaments and four NCAA Super Regionals, which operated as the launching point for the Wolverines' 2005 national championship. Renovated and landscaped for the 1992 season, Alumni Field is located in the heart of the University's Athletic Campus. New outfield grass and an infield/outfield drainage system were completed following the 1998 season. The outfield is now laced with an irrigation and watering system that provides for a lush playing surface and a quick drying system. 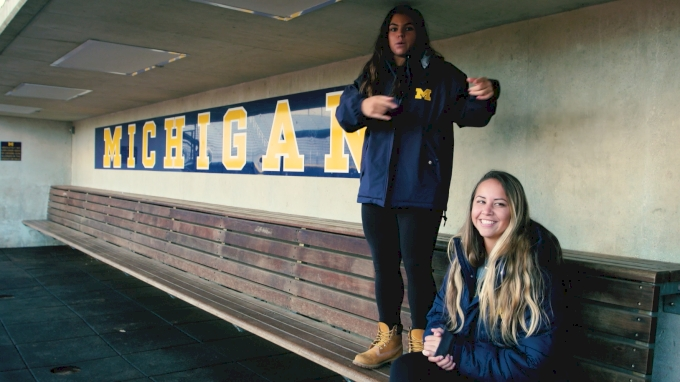 The start of the 2014 season also brought new enhancements to the Wilpon Complex, including a brand-new, three-story Donald R. Shepherd Softball Center and state-of-the-art video board in left field. The Shepherd Center was built on the footprint of the previous softball building (1998), but now includes a museum, coaches offices, improved training facilities including hydrotherapy, more team meeting space, and a fitness room. The 1,200-seat GCU Softball Stadium opened Feb. 8, 2018, to surround a playing field that was installed in 2017. The new stadium features a middle section of individual chairback seats and sections to each side with bench seating with back support. The northeast-facing stadium also is protected by fabric shading. Recognized as one of the top collegiate softball facilities since its opening in 2015, Kamphuis Field at Liberty Softball Stadium provides softball fans a great venue to watch high-quality softball action. The stadium includes 1,000 chairback seats, home, visitor and umpires’ locker rooms, team room, situation room, coaches’ offices, indoor batting tunnels, two full bullpens, and an expansive athletic training room. The state-of-the-art pressbox houses all game operations, home and visiting radio booths, TV booth, and President’s suite. The stadium is prewired for broadcast, as most home games are broadcast by LFSN. On April 3, 2015, the field was named after Dwayne Kamphuis, a legendary fastpitch softball pitcher and financial supporter of Liberty University and the softball program. Kamphuis traveled the world playing in exhibition softball games as part of the renowned “King and His Court” team, headed up by Eddie “The King” Feigner.